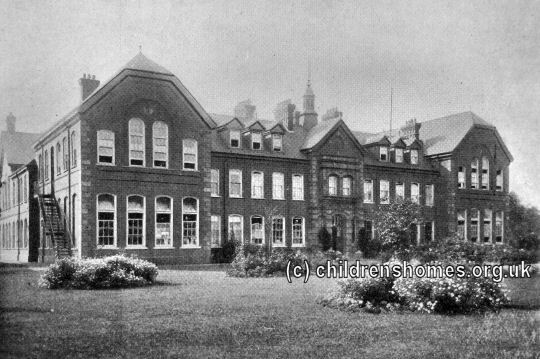 On December 7th, 1900, the Certified Industrial School for Jewish Boys formally came into operation at Yeading House, 201 Uxbridge Road, Hayes, Middlesex. A ceremonial opening by the Chief Rabbi took place in February 1901. The School was the first institution of its kind specifically catering for boys from the Jewish faith who had been committed by the courts for detention. Before this date, the East London Industrial School at Lewisham had admitted some Jewish boys but had become increasingly reluctant to do so. The Hayes establishment filled this need and was established with financial support from the Rothschild family. The School could originally accommodate 70 boys but its capacity was officially increased to 65 in November 190 and, following major building work, to 126 in December 1909. 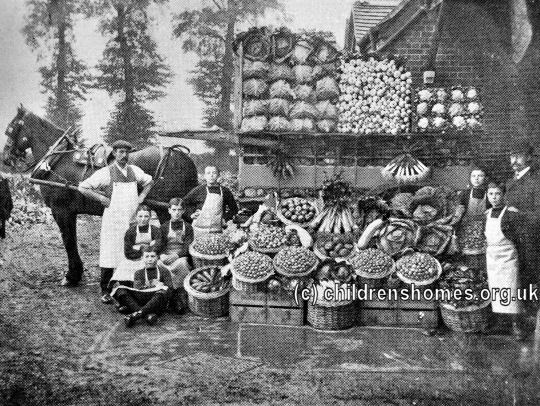 Part of the School grounds were cultivated by the boys and there was also an orchard. Some of the produce is displayed in the picture below. In around 1933, the School became an Approved School — the institution introduced by the 1933 Children and Young Persons Act to replace the existing Reformatory and Industrial Schools. The School could accommodate 112 Junior boys aged under 14 at their date of admission. In 1937, in response to a decline in the numbers being admitted, the School moved to smaller premises at Weybridge in Surrey. The Hayes site was then leased to the Middlesex County Council for use as a new Senior Approved School known as St Christopher's. The Uxbridge Road buildings no longer survive. The National Archives, Kew, Richmond, Surrey, TW9 4DU. Has Annual Reports (1902-1938).